You've been given the choice to spend Christmas in a cold or warm place, which do you choose? Why? I don’t even have to think about this question to answer it. I don’t even have to blink! I would spend Christmas in a warm place! Yes, I am from Michigan. I love it here! I am a big advocate for my state. I enjoy the four seasons. I love the cold. I get excited to see that first dusting of snow as it falls from the sky. (This year, the first snow fall I witnessed happened at the end of October, a few days before Halloween.) Egg nog lattes are my favorite. I count down the days until it shows up at my favorite coffee shop. 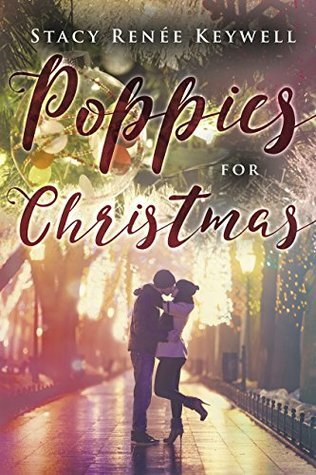 That is why, when I wrote my novel, Poppies for Christmas, it took place in Michigan in the winter. It showcases the beautiful snow, the winter sports, the warm drinks and yummy cookies by a cozy fire. But, for me personally, I would spend the holiday on vacation in a warm climate in a second! I love the Caribbean. It is one of my top places to travel. I especially adore getting there on a cruise ship. I’ve been able to get away to that warm destination over a February break. The Caribbean Sea was pretty chilly, but compared to a negative twenty wind chill back home, basking in the hot sun was a welcome relief. But, I would love to spend time in the Caribbean with my family for Christmas. I love to learn about different cultures. So, what would be more perfect than trying new foods, and experiencing new traditions for the holiday? My family and I love meeting people. We enjoy hearing their stories. I am not well versed in Christmas culture in the Caribbean, so I would love to share tales, and take in new experiences. I would also love to see palm trees covered in lights, and feel a fresh, tropical breeze at night to warm my chilly Michigan bones. While Christmas in the Caribbean is a dream for my bucket list, Christmas at Disney World was a reality last year. It was an epic fantasy. I relished walking around at night with my two daughters sipping hot cocoa and chasing the adorable geckos. Basking in the pool in eighty degree weather was a well-deserved treat, and a dream come true. I really enjoyed my time in a warm place. While I love my home, sometimes the temperatures dip lower than Alaska’s, and our winters can last into April, and sometimes May. So, a warm place would be a refreshing change for us. Truly in my heart, and most of all, it doesn’t really matter if I celebrate the holidays in a warm or a cold place. I put my family first. Spending any time with them for the holidays is very important to me. And, although I love to spoil the girls with presents and treats, I just want to be close to my family during the Christmas time, to make those beautiful, long lasting memories. 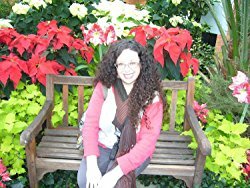 Stacy Renée Keywell enjoys spending time misusing, mispronouncing, and misspelling languages, especially in her native tongue, English. When she is not stargazing or daydreaming she creates adventures for her family to conquer. Besides following her whimsical dreams, Stacy likes to sing to the music in her head, dance poorly, and compose non-sensical words. She is also the author of Forbidden Sky- Book One of the Dark Wing Series. Stacy resides in Michigan in a little house in the woods with her husband, and two daughters.